Available in ebonite, the Davenport was designed by Peyton Street Pens and handmade by Ranga of India. It features JoWo #6 nibs and is a converter/cartridge filler. It is 5-1/2 inches long while capped and ($72 for standard ebonite, $87 for premium ebonite.) Silver or gold colored clip. 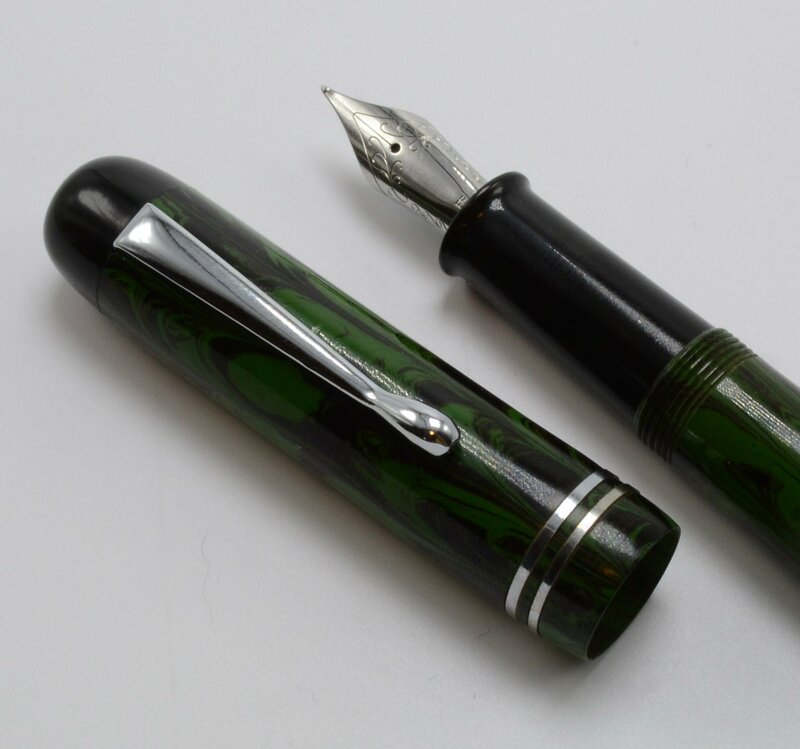 Available in ebonite and acrylic, the Monterey was designed by Peyton Street Pens and handmade by Ranga of India. 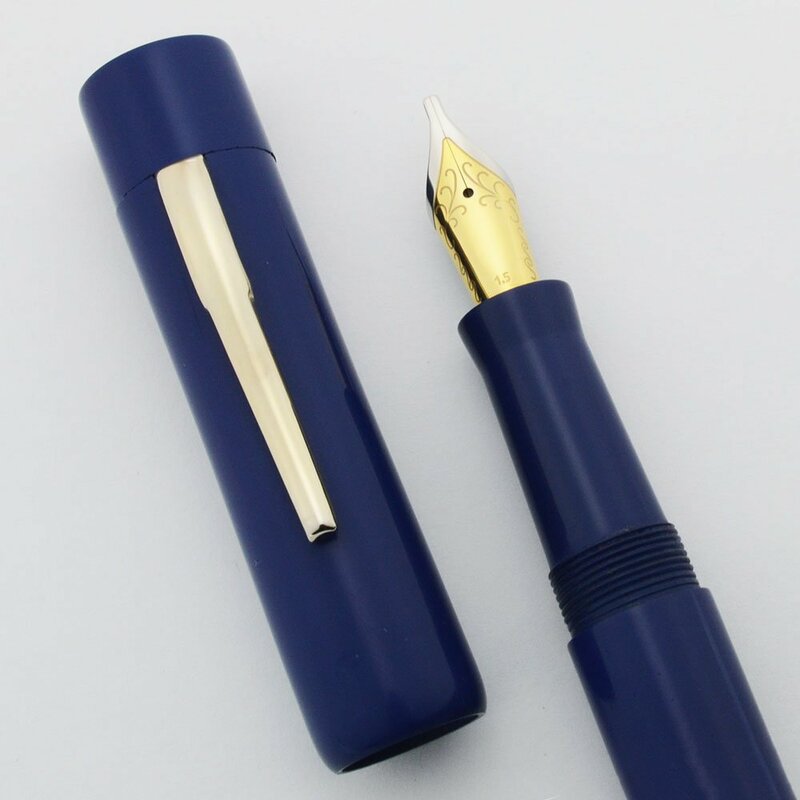 It features JoWo #6 nibs and is a converter/cartridge filler. 5-3/8 inches long, it has a long smooth section for writing comfort. ($72 for standard ebonites, $87 for premium ebonite.) Sleek cylindrical design, no clip. 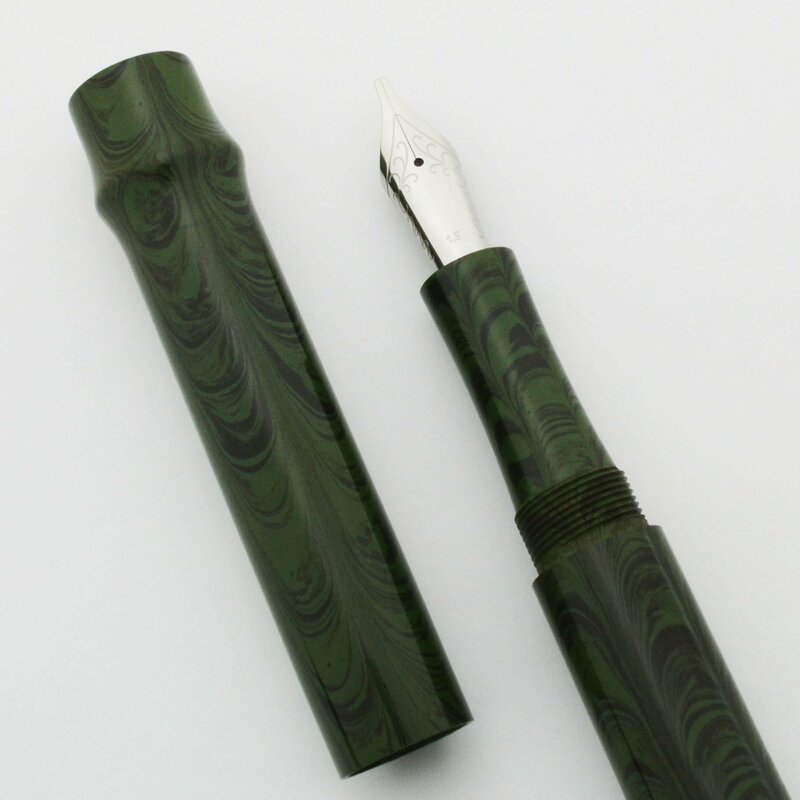 Available in ebonite and acrylic, the Zayante was designed by Peyton Street Pens and hand-made by Ranga of India. It features JoWo #6 nibs and is a converter/cartridge filler. 5-1/2 inches long, it has a long smooth section for writing comfort. ($72 for standard ebonites and acrylic, $87 for premium ebonite.) Silver or gold colored clip. Available in ebonite, the 4C is one of Ranga's most popular models. 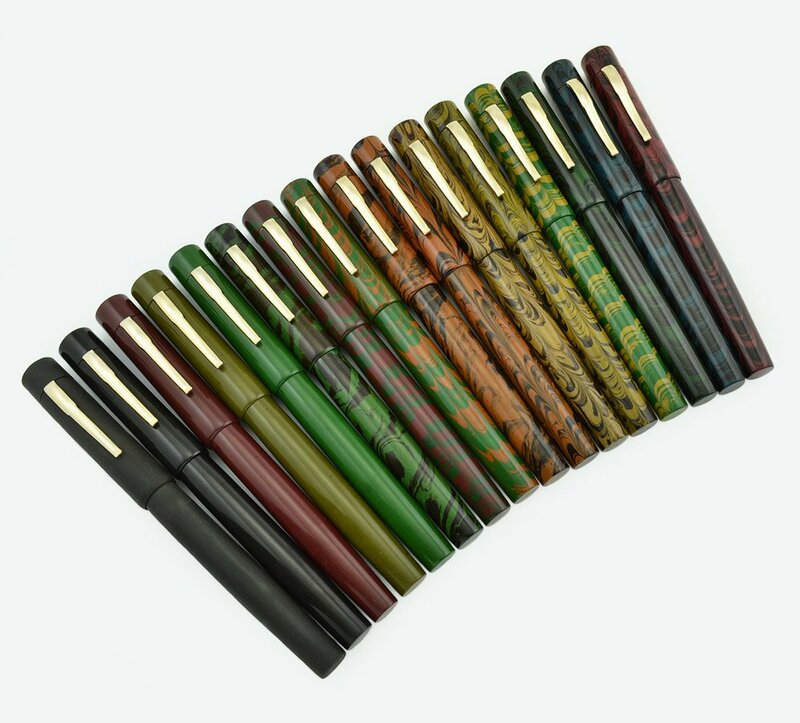 It features a gently rounded cap top and barrel end, and comes in at just under 6 inches in length. 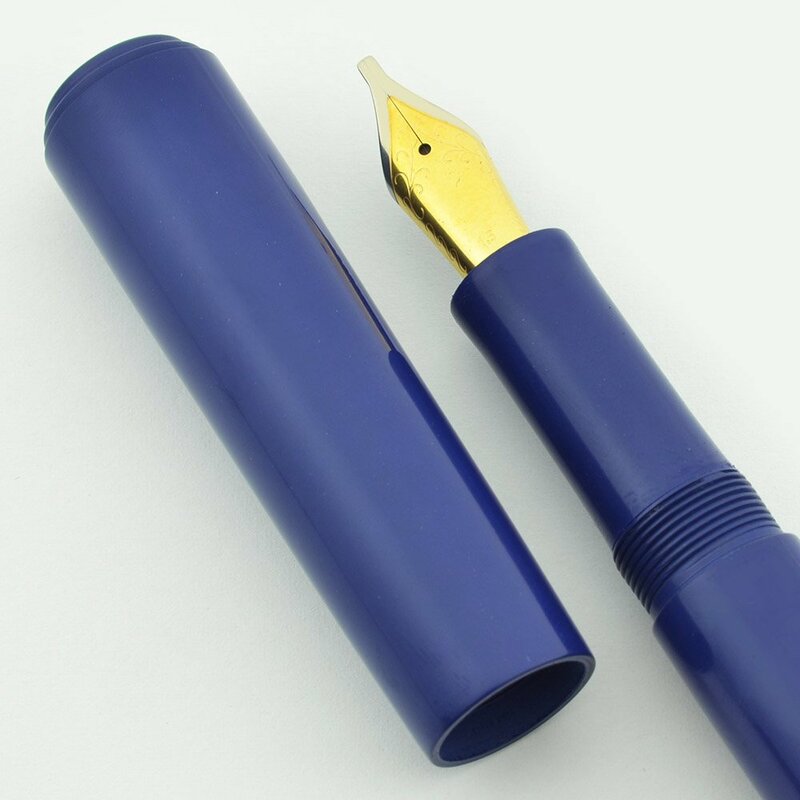 It features JoWo #6 nibs and is a converter/cartridge filler. ($72 for standard ebonites, $87 for premium ebonite.) Silver or gold colored clip. 6-1/4" the "Zeal" is a combination of Indian ebonite with clear acrylic. Cartridge or converter filling with #6 German screw-in nib units made by JoWo.